Picking and collecting the best bass lures can definitely make your fishing more enjoyable. But which lures can catch the maximum bass? Here's a list of the five best bass lures which are selected, based on their proven ability and capacity to catch bass. Each lure described below is an excellent and powerful resource in its specific category, which is loaded with useful information and the best techniques to use them efficiently and conveniently. These lures are ideal for any fishing lovers, fishing enthusiasts, commercial fisherman, or any individual. Undoubtedly, our top pick is the rubber worm. No other bass lures can be as versatile or more charming to bass compared to a soft plastic worm. There are available with various designs and dimensions, so you can easily choose the best size, color, and style which suits you the most. When a big bass hits, you will feel a slight thump over the rod handle, and you will need to give a strong hookset. Setting the hook accurately is essential for worm fishing. The most popular worm rigs are the Wacky rig, the Texas rig, the Drop Shot rig, and the Carolina rig. If You Are Looking For More Information About Buzzbaits Go Here Right Away. Our second pick number is the spinnerbaits. These lures have an efficient and unique ability to attract big bass easily. They have kind of odd appearance which consists of either shiny or colored spinning blades. The most standard spinnerbait sizing option lies between 1/4 ounces and 3/4 ounces. And the most modern blades are the Colorado blade, the Willow blade, and the Indiana blade. Based on the spinnerbait's speed at which it is retrieved in the water, the blades actually flash wildly and spin furiously. This really helps to create the commotion under the water that bass can hear, see and feel. The blades even help to retain the hook weedless. Click here to see more details about soft swimbaits for bass fishing . 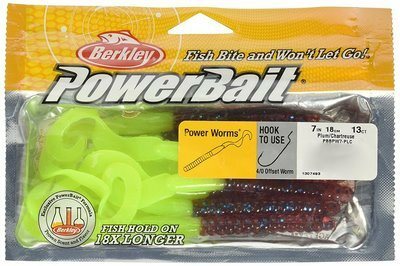 This is another excellent lure that can cover a large pool of water in a relatively short span of time. Crankbaits offer a versatile option and can be useful in an extensive variety of environments. Crankbaits are available in various shapes, sizes, weights, and running depths. The correct selection of your lure essentially depends on the depth of water you're fishing. Hence, your right crankbait choice also plays a major role in your fishing success. If You Are Looking For More Information About crankbaits for bass fishing Go Here Right Away. The fourth pick is Jigs. Jigs are most commonly used in short-range pitching and flipping techniques, rather than the distance casting. It's all about your accuracy, perfection, and soft entry. Though these lures can often be challenging for new and inexperienced anglers, but if you get comfortable with these, you can really catch some big bass. 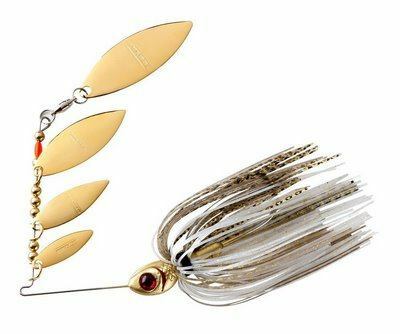 There are an enormous variety of jig skirts, heads, jig trailer, and colors combinations to choose from, among these the most significant aspect of a jig is its weight.Bass often take a jig while it's sinking. And the rate at which it sinks and the action it gives off in this entire process are the two fundamental elements of a jig that trigger strikes. You must always add a trailer to your jig that can help enhancing the action. Among the different style of jigs' heads, the most versatile, and most popular head is the standard head or are the head. Topwater lures are not only efficient but also extremely fun to use, these two key reasons have secured their place in the top five. These lures are primarily designed to ripple the water’s surface, creating a popping and splashing sound when the lure is retrieved. There are loads of weedless topwater lures available on the market, but most of the hard baits are usually fitted with treble hooks. They are very efficient in low light conditions, for example, late afternoon/night, early morning, or on an overcast day. If you prefer using topwater lures for bass fishing then Go here right away. It has a sophisticated performance. These are the incredibly powerful lures to catch large bass. This is an excellent crankbait lure, which is available in four different color options : Green, Fuchsia, Purple, and Yellow. 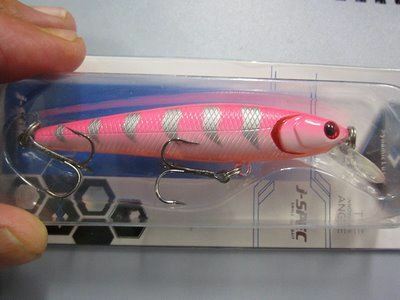 Its attractive body design, with vivid and colorful appearance, can really help to entice bass. It has an excellent built-in quality, with a brilliant color combination, and 3D eyes which easily tempts the fishes. 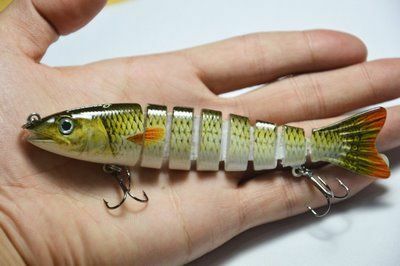 Its attractive color and lure body design resembles like the actual fish.Its movement is pretty fluid and lifelike. It is a versatile lure, which can suit any demographic climate like saltwater, fresh water, and regular water. It also has two treble hooks, flexible hinge and that makes it a highly durable product. This is an outstanding topwater lure, which is available with endless color options. They have extremely light-weight and very easy to cast. It ensures a great quality, sturdy construction, high durability, and an ideal topwater lure. It is available with around 18 color variants and two sizing options. Each color looks flawless and highly attractive. It has a sophisticated performance. It is quite easy to use even for a novice. It is primarily designed to maintain the upright position into the water and resonates a low-frequency ripple which mimics the actual baitfish. These are extremely soft, firm, and sleek worm baits. They are available in numerous color options, vivid design, and various sizes. They have ribbon tail design which can help them to swim naturally. Their Soft yet firm texture is extremely useful to catch big size fishes. These lures are quite versatile, which are perfect for fishing in your favorite lakes ponds, rivers, and streams. These are some awesome and high-performing spinner baits. They are available in six color variants. Each one looks extremely classy and spectacularly beautiful with its shimmery design and a perfect streamlined finish. These are the remarkably great spinnerbaits to catch large bass. Each is having 55 strand skirts. Their unique design and perfect finishing textures make them ideal for Bass fishing. These lures were completely weedless and very easy to use. These are the extremely efficient jigs which will make your fishing seamless. They are sturdy, highly durable, substantially cheap yet one of the top-rated product in its category. They are made with durable, extremely sharp Gamakatsu hooks. Their unique pattern of the head and position of the eyelet make them looking like the actual fish. They have bulging eyes, great holographic finish, and great color combinations. The unique feature of these baits is that it doesn't hang straight of fall downwards like the other bucktails. Whether you are a fishing enthusiast, a fishing lover, or just a novice, this list can come extremely handy while you decide to purchase the lures. The list of the best big bass lures is equally suitable for saltwater fishing and freshwater fishing. Follow the guidelines mentioned above to pick the best lure for you, which in turn will give a seamless and smooth fishing experience. However, you should also consider several factors, for example, your preferable choice of fishing, the depth of the water, climate condition, etc. to choose the most powerful lure to improve your fishing experience.